If we believe the bookmakers’ odds between Manchester United and Barcelona, ​​then a small preliminary decision could already be made in this first leg on Wednesday night at 21:00 o’clock at Old Trafford. Important from the point of view of the home side will be to stay as clean as possible and thus to preserve the prospects for the semi-finals. Therefore, it does not seem to be out of the question that the “Red Devils” start with caution and give their own goal protection the highest priority level. Barca are also under pressure to make it all clear in the first 45 of a total of 180 minutes, so we are very likely to predict a relatively scoreless first half in Manchester United’s draw against Barcelona. In such a meaningful match between two heavyweights, it would be surprising if the ball crossed the goal line at least twice in the first half. The fact that Manchester United made it to the quarter-finals of the UEFA Champions League was a miracle in early March. For the first time in the history of the competition, it was a team managed to reach the next round, although the first leg was lost in front of home crowd with two goals difference. Admittedly, the English record champion had huge luck in the 3-1 win at the Prince Park in Paris, although the “Red Devils” in the end, thanks to the outstanding effectiveness in front of the box of not always sad looking Gianluigi Buffon deserved to progress to the quarterfinals quite a bit , Nevertheless, from an objective point of view, it should not be ignored that the team of coach Ole Gunnar Solksjaer had reached the limits of football both in the first leg and in the second leg and was completely inferior in a total of 180 minutes. This may also be one of the reasons why in the first leg between Manchester United and Barcelona the guests claim the favorites role according to the odds. Another argument is certainly the current Formdelle, the latest after the 1: 2 defeat in early April at the Wolverhampton Wanderers in the Premier League is not explain away. Three of the last four competitive games were lost, so United had on the one hand all hopes for the title in the FA Cup buried and also fell back in the highest English league to sixth place. On the plus side, though, Paul Pogba, Marcus Rashford and Co. spent a full week preparing for the title contenders. Nevertheless, those in charge of the triple triumphant would certainly like to have drawn another lot for the round of the last eight, because apart from the fact that Lionel Messi and Co. are currently the best chances to reach the final, the record against Spanish clubs is anything but Well. Only two of the past 15 direct duels with teams from the Iberian Peninsula have managed to make ManUtd victorious (six draws, seven failures). In the current season, the English – even then under Jose Mourinho – even in the group stage against Valencia hard (a draw, a bankruptcy). Even in front of their own fans in the “Theater of dreams” is the yield with only one success from the recent eight home games against representatives from Spain not better. To make matters worse, United scored just one goal in four games in their current Champions League campaign. This also fell in stoppage time in a 1-0 win against the Young Boys from Bern. However, with three penalties, the defensive to keeper David de Gea was mostly stable, which is why on Wednesday between Manchester United and Barcelona the tip on maximum one goal in the first half should make sense. At least in terms of personnel, the Norwegian Solksjaer, whose contract was extended beyond the end of the season, can draw almost full. Only Alexis Sanchez and Matteo Darmian will be missing for sure. Question marks are behind the stakes of Marcus Rashford and Eric Bailly, who should be fit in time, however. In addition to Manchester City FC Barcelona is currently traded as the hottest contender for the handlebar pot. The Catalans have worked hard for this quite strong favorite status in the past weeks and months. Even the Triple 2018/2019 definitely seems to be within reach. In the Spanish La Liga no doubt at the latest after the 2-0 success in the top game of the weekend against the toughest pursuer Atletico Madrid no longer in a successful title defense and also in the Copa del Rey are the Blaugrana in the final against Valencia logically attributed the better odds. That leaves the UEFA Champions League, in which Barcelona, ​​in the case of progress against Manchester United, in the semi-final against the winner of the pairing Liverpool vs. Porto would have ran. Before that, however, at least 180 exciting minutes are in the quarterfinals ahead. Incidentally, the round of the last eight in recent years was primarily associated with negative experiences for Messi and Co., because in four of the most recent five editions Barca retired in the quarterfinals. Last year it was the Roma, who despite a 1: 4 defeat in the first leg, the leap to the semifinal managed thanks to a 3-0 success against a home crowd in the second leg. In the current season, however, coach Valverde’s team seems to be more stable, stable and focused. English opponents were recently welcomed. Nine of the past 13 direct duels against clubs from the motherland of football have been won (three draws, one bankrupt). The away record in the European Cup is also noteworthy, because the mentioned 0: 3 in the “eternal city” was the only defeat in the last 19 European encounters in foreign countries (eleven wins, seven draws). Again, there is a big “but”. In the recent six knockout matches, not a single victory. In general, the otherwise offensive Catalans scored in this period only a single hit. Since these very meaningful and interesting statistics are often swept under the table or at least not sufficiently weighted, it is obvious that in the match Manchester United vs Barcelona, ​​the value in the odds on relatively few goals, especially in the first half, can be found. In terms of tactics, it is unlikely that the Valverde protected will rush from the start and want to make a quick decision. Much more, the primary focus will be to scan and not run into the open knife to take control of it as the game progresses. For comparison: At home game on Saturday night against Atletico Madrid it took despite overpower until the 85th Minute, before Suarez marked with a splendid goal in the lower right corner, the redeeming 1-0. Messi put down a pointer turn to 2: 0. Between Manchester United and Barcelona we could expect a similar game of patience for the presumed favorite. Personnel must pass Valverde on Rafinha and Vermaelen. Ousmane Dembele, however, could return to the squad after injury. 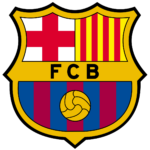 Overall, ManUtd and Barcelona faced each other in eleven competitive matches. However, the English won only three matches, while the Catalans celebrated at least four successes (four draws). Interestingly, the most recent two direct duels were each final in the premier class. 2008/2009 won the Blaugrana thanks to goals from Samuel Eto’o and Lionel Messi 2-0. 2010/2011 it was after 90 minutes 3-1 for FC Barcelona, ​​where again met the Argentine Messi. Will the currently probably best footballer in the world pick up again on Wednesday evening? Between Manchester United and Barcelona are offered for the tip on Messi as scorers low odds of 1.80. With great anticipation we expect on Wednesday evening the quarter-final first leg in the Champions League between Manchester United and Barcelona. The odds imply a favorite role of the Catalans, who are on the one hand in a better overall constitution and on the other hand should also be qualitatively and footballing in the nose ahead. That the effective “Red Devils” but at any time in a position to annoy counterparties, had to experience Paris St. Germain first-hand. As in these two games against the French champions, we would once again assume that United will (have to) limit itself primarily to the defensive in order to preserve the chances of reaching the semi-finals. What is often not considered in the assessment is the fact that Barca has not won in the past six knockout away games and also scored only one goal. 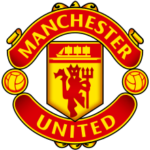 ManUtd presented in the group stage before home crowd also anything but goal-hungry and marked the hitherto first and only goals in four home games in a 1-0 last -minute win against the Young Boys Bern. Because in such a meaningful encounter it is common practice for the teams to feel their way around and start carefully, we have decided in the Manchester United vs Barcelona match to tip under 1.5 goals in the first half , The odds may be in a rather small range at 1.50, but we estimate the probability of occurrence subjective to over 80%, so the corresponding value should definitely exist.